Increasingly, female athletes are going bonkers over our boxing workout sessions here in Salem, MA. We want you to know that professional boxing training is offered here in our Salem Fitness Center. It is fully equipped with cutting edge boxing equipment and a dedicated training room. Personal trainers are highly skilled and can train beginners to active boxers. Are you are looking for an ultimate cardio workout? Boxing training for women offers high-impact workouts that help you lose weight while fantastically sculpt your muscles. Not only that, it also enhances your reflexes, focus, and hand eye coordination. It's a lot more challenging and engaging than possibly any workout routine that you’ve previously tried. Boxing demands full concentration making it a form of meditation. This is a great diversion and tension reliever from daily stresses in life. Boxing exercises involve extensive hip rotation and therefore targets core muscles as well trains the upper and lower extremities. It's not just a heart-pumping and fat-burning workout, but it also speeds up your metabolism process. Aside from the physical advantages you reap from this training, the workout can empower women. Making them more powerful and confident in all aspects of their life. For more about women's professional boxing, contact Salem Fitness Center. Summer arrives soon. Tank tops, shorts, dresses, and swimsuits are the clothing staples so if you’re not where you want to be physically then it’s never too late to get things going. We understand that with the damages of living an unhealthy lifestyle, difficulties of changing entrenched habits, and the stresses of our daily lives, getting leaner and fitter isn’t always a smooth process. But you need to know that the real hard part of fitness is getting things started because once your into it, it no longer seems like work, rather it is nothing but rewarding relief. If you want to have a leaner and fitter body, consider Pilates workouts. This amazing workout can help you shed the fat, leave the lean muscles and increase muscle strength. Pilates classes in Salem, MA focuses on core strength and trains the body as an integrated whole. Your muscles are not worked to exhaustion, so there’s no straining just intense concentration. A variety of exercise sequences are performed allowing you to increase muscle strength and tone particularly your abdominal muscles, lower back, hips and buttocks. By performing through a slow, sustained series of exercises, Pilates requires concentration, focus, abdominal control and proper breathing. Therefore, the quality of each posture is more significant than the number of repetitions you make. This is to condition the deeper, supporting muscles of your body. Although Pilates is a low-impact form of exercise, if you practice Pilates exercises regularly then it will change your whole body. It can help you create long, lean and strong muscles without bulk. Start making changes today so you can be more confident when swimsuit season arrives. To learn more about this energizing workout, contact Salem Fitness Center. The landscape of boxing-related fitness training is changing dramatically. Once a male-dominated sport in both boxing domains (fighting vs fitness training), that landscape is rapidly changing. Women are entering the boxing training arena at over twice the rate of males. And it makes perfect sense. Not only are boxing-themed workouts extraordinarily fruitful from both the strength and cardio perspectives, the training delivers the rewards of extreme mental confidence and an huge step forward in the athletes ability to self-defend themselves. If nothing else, stop by and peer into our group exercise boxing drills in Salem, MA and you’ll see focused intensity on the faces of all involved. Enrolling in boxing workouts class is a practical decision for women and men alike. This is a great way to get a safe and effective workout that is different from the usual (and comparatively low-intensity) exercise routines. 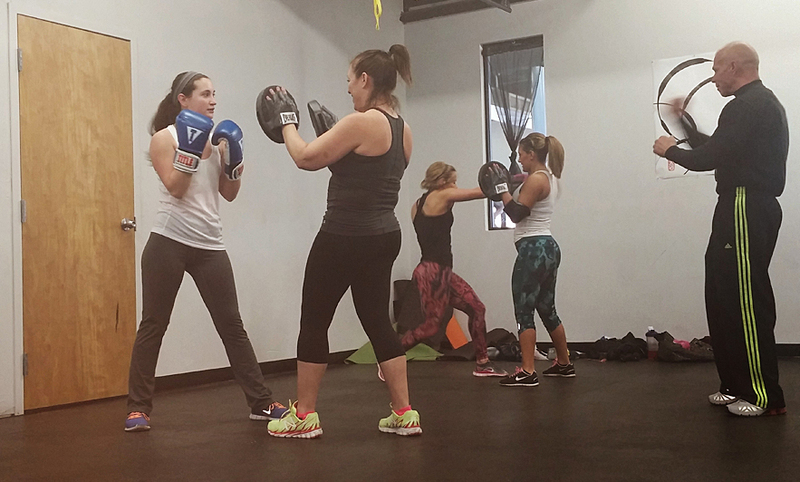 This class combines boxing with fun and fitness. No wonder why this alternative has grown increasingly popular these days, especially for women who want to achieve that knock out body they have been dreaming to have. The boxing training cardio workouts are a newer and more holistic approach to fitness. Because of these boxercise routines, group exercise classes are given new twist that both the novice and the pro will surely be engaged in and gain astonishing results from. The boxercise routines are done in rounds. People who enrolled in these classes will be working hard for a period of time and then take only short breaks in between so their metabolic rate speeds up to a certain level that will let their body continue to burn calories even after the workout session. That being said, faster and better fitness results are guaranteed. These include losing weight, toning muscles, gaining physical strength, improving cardiovascular endurance, and keeping the mind sharp. To find out more about group exercise boxing drills, contact Salem Fitness Center. Not too long ago it was very rare to see females engaged within the sport of boxing due to the aggressive and violent nature of the sport. It's simply a massive misconception that boxing training is too strenuous for women to handle. 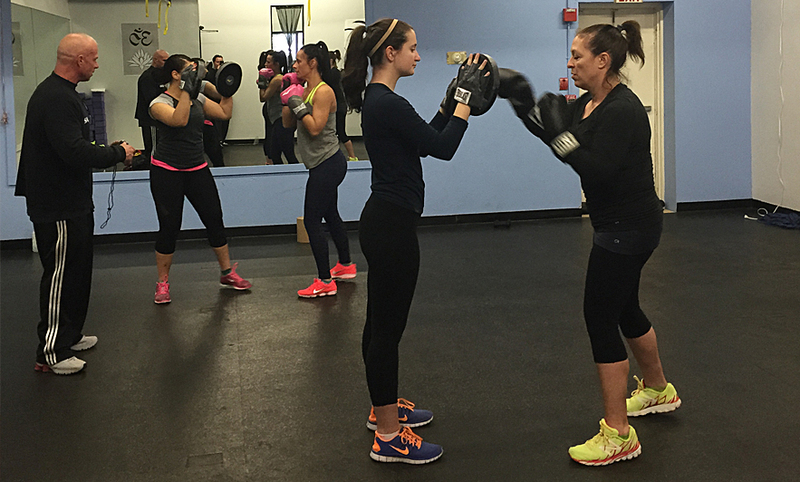 Quite to the contrary, increasing number of women now pick up boxing training program in Salem, MA because the physical and mental benefits are striking and women will always rise to physical and mental challenges. Boxing training is no doubt a demanding workout. It activates your entire body and senses. Muscles and joints in both your upper and lower extremities must coordinate synchronously to enhance your combating moves. In the process, your entire body is exercised and toned to fit. It also enhances your reflexes and eye-hand coordination. Regular boxing sessions enhance your decision making skills to react instantly and speed up your movement. Focus is also a primary requirement if you want to excel in this training. You are forced to put other things aside and concentrate during boxing workout session. That in and of itself is mentally therapeutic as you put all your worldly pressures aside while in the boxing moment. Throwing jabs and punches are great outlets to release aggression and stress. When your stresses are relieved, your mind is also clear and calm which positively impacts your general health. Lastly, you will learn self-defense techniques in boxing training program. This also empowers women and boost their self-esteem. Contact Salem Fitness Center to find our more about Women's boxing training. The upcoming spring and summer breaks offer a thankful reprieve from being held hostage inside the home. We all want to look our best when we get rid of sweats and back into shorts and flip flops. Ladies, the Salem Fitness Center proudly manages our Women's-Only Fitness Club which is fully equipped with state of the art gym amenities to help you get ready for summer. Women's-Only Fitness Club in Salem, MA provides an enormous fitness area exclusively for female members. The club aims to address women's fitness issues and work closely with them so they can achieve their fitness goals faster. We understand that women have unique fitness goals and often seek athletic venues where they can work out independently from the men. We give you ladies that option. More women come to fitness centers not only to lose weight but also to tone muscles, alleviate adverse symptoms of hormonal imbalances, pain relief and discomfort related to various health conditions. So if you want to move forward in your fitness goals and objectives and seek the ability to work out with women only, become a member of our Women's-Only Fitness Club. Contact Salem Fitness Center today! Our personal trainers can help you attain your goal in just a short time. It can be argued that seniors need the gym more than their younger counterparts. Seniors need to establish an safe exercise routine to ward off aging’s aches and pains that the young people don’t have to deal with. Some health experts say that you need to invest at least 150 minutes of moderate endurance activity weekly. Salem Fitness' Sweating to the Oldies is a fitness program designed exclusively for senior adults so they can meet their recommended physical activity requirements. Since seniors work out at a different pace and intensity than others, it only make sense that they should have a separate fitness plan and course. A fusion of low to moderate intensity workout scheme is strategically developed to restore strength, flexibility and balance which is essential to carry out activities of daily living and improve quality of life. Sweating to the Oldies in Salem, MA aims to lower the risks of pain, fatigue, and injury when performing their daily tasks. This could also help sharpen the mind and combat early mental decline. Maintaining a healthy lifestyle is the key to enjoy life more even in your later years. A variety of physical fitness activities for our senior members provide a direct path to a fit and healthy quality way of life. 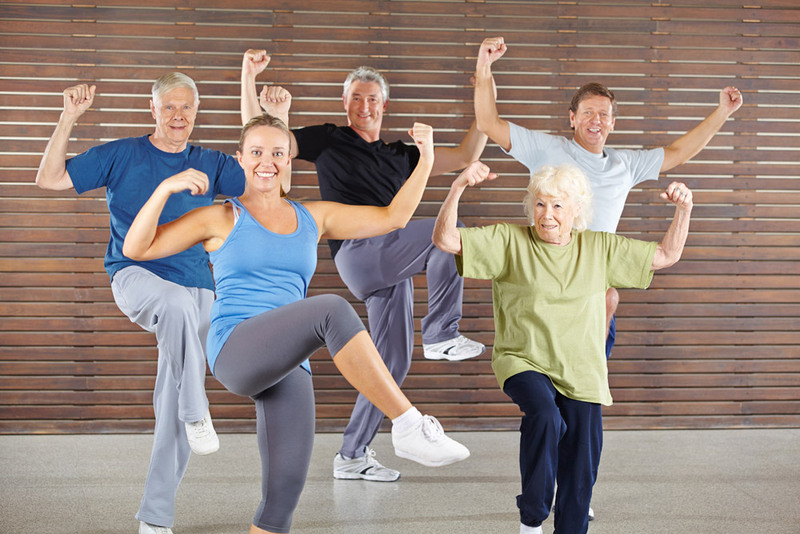 To find out more about senior fitness program in Salem, contact Salem Fitness Center today! Are you tired of the same repetitious workout that is failing to deliver upon your fitness goals? Do you want something more dynamic than the typical indoor static cardio workouts such as solo spins on the exercise bicycle? Then, then give women's boxing training a shot. When you want to make REAL fitness progress, build functional strength, and boost your endurance, nothing beats the effectiveness of boxing workout. Fitness enthusiasts who want to scale up to a more challenging training are increasingly shifting to boxing training program. Every task in this workout will leave you rewarded both physically and mentally. The core elements of our boxing fitness training includes basic stance, footwork and fundamental punches such as jab, cross, hooks, and uppercuts. Additional cardio exercises are also integrated in the program like jumping ropes, sprinter hops, shadow boxing, sprawl, etc. So in this program you will be treated like a real boxer. Expect the program to be a lot more intense and upscale. Boxing training for women will not only help you lose weight instantly but it will also condition your body to become more robust and tough against maladies. Indeed, boxing is your ultimate workout towards fitter, stronger, healthier you! Contact Salem Fitness Center to find out more about the benefits of this workout. Strength AND cardio. We all know we need both. We all have a natural preference for one over the other. Looking for a fun High Intensity Interval Training (HIIT) workout? Ladies, consider the multiple benefits of boxing training. Our boxing training classes here in Salem, MA are the new rage. This is because boxing training not only helps burn fat and tone muscle, it has incredible effect on self-confidence. Some people doubt themselves regarding their ability to self-defend. When you find yourself striking our bags with increasing strength and confidence, much of that doubt can be set aside in rapid time. Our boxing training programs help you maximize your gym time because you are actually striking two birds with one stone. The brisk swings of punches and jabs and rapid footwork will surely demands all your muscles to work together. Thus, toning the body for a slimmer, leaner look. So if you are itching for real fitness results, look to Salem Fitness Center and get yourself involved in the ultimate fat busting and muscle sculpting exercise. Contact Salem Fitness Center today and you'll be fortunate enough to be part of a pioneer class to get to use the new boxing room. Boxers have some of THE most conditioned bodies and they owe it all from their rigid training. If your fitness goals include an ultimate fitness regimen that can deliver results almost immediately, then opt for our boxing training program here in Salem, MA. Salem Fitness Center's boxing group class will help transform and condition your body in a way that very few other types of workouts can. Our training is much more than the current trendy meld of neutered combat exercise. It is fun, engaging, and a constantly modified and enhanced routine. Why is boxing training so effective as compared to other types of workout? It is all due to the sustained intensity. The bursts of anaerobic alternating actions with brief rest periods. It's a high intensity interval training that which is very effective in torching fats and calories. What is great with this workout, is that you lose weight while it tones your body. That means no sagging skin from sudden weight loss only perfectly sculpted body. So if you think this fitness program is the answer to your long-tail search of ultimate workout, then this good news from Salem Fitness Center will sure send tizzy to your bones. A new boxing room will be opened soon with cutting edge fitness tools, equipment and essentials. So what are you waiting for, enroll now by contacting Salem Fitness Center today! Looking for a challenging workout, one that will not only improve your muscular and cardiovascular strength but will dramatically improve self-defense? Well then, Salem Fitness Center (Salem, Mass) is your next stop! If your aim is to transform your body through an extensive program that will train your strength, balance, speed and endurance, then our boxing training program will help you achieve the body you desire. Our group boxing workout class teaches participants the proper boxing techniques incorporated into a full body workout. The workout offers different courses wherein beginners can start on basic jabs, fundamental stance, footwork, and overall mechanics. Our training focus includes the proper way to make a fist, hands-up guard, throwing jabs, step jab, forward shuffle, and more. Our advanced programs involve eight weeks of developing/using different punches, left & right uppercuts, various defense movements and working with the heavy bags. Salem Fitness will be opening a brand new boxing room soon! In the meantime, contact Salem Fitness Center to find out more about our boxing workout class and start your training right away!